The Park Campus PTO is sponsoring a Color Walk/Run Event and we would like you and your family to participate! All proceeds from this fun, healthy event will be used to support educational enhancements/extra-curricular activities for Park students. 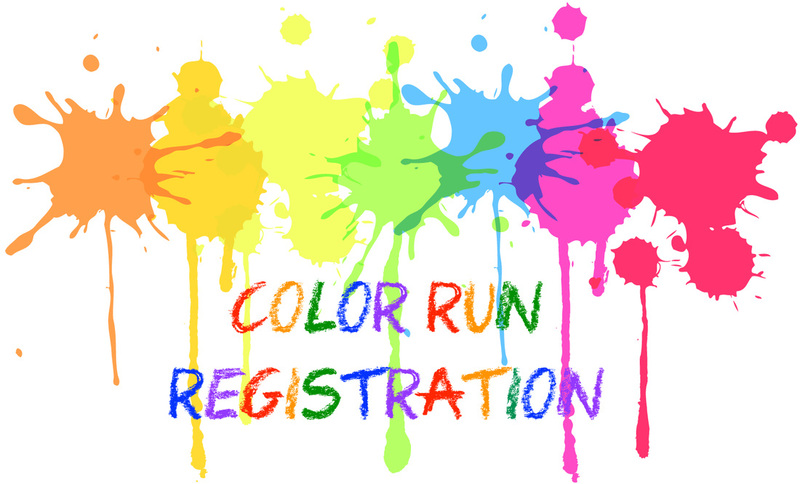 The cost to register for this 3K Color-A-Thon event is only $20 and includes a t-shirt and color dye pack! to be guaranteed a t-shirt and color dye pack. Sorry, no exceptions! but t-shirts and color dye packs are not included. Race Day registration opens at 8am on Sunday, October 22nd. Color Dust is non-toxic, biodegradable, and 100% safe (ingredients: corn starch and FD&C and/or D&C colors). The Color Dust is not harmful to wildlife or vegetation. Leaf blowers/dust mops can easily clean off dust on walkways and floors. Although there has never been any issues in the past, people with allergies and/or asthma may want to take extra precautions when it comes to the Color Dust. 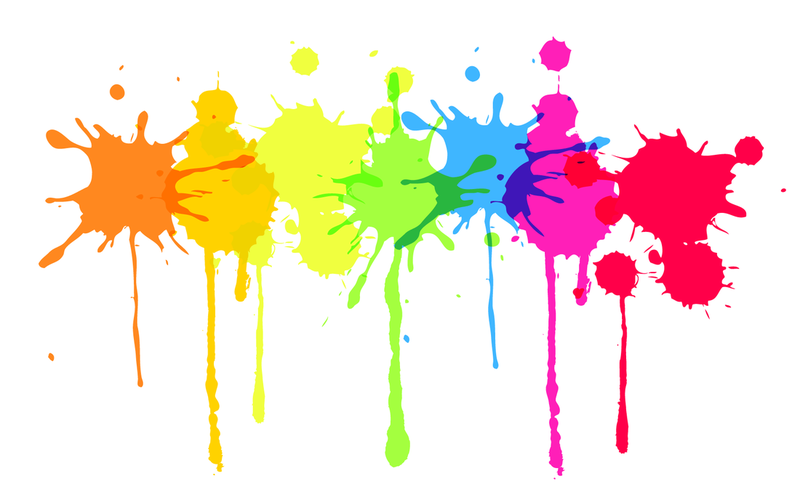 We suggest that participants with allergies or asthma wear protective masks and/or keep a safe distance from the Color Blast Stations during the event. Will the Color Dust dye my clothes, shoes, and hair? The Color Dust is pretty easy to blow off and wash out. If you are driving to/from the event, you may want to bring old towels to lay on the seats of vehicles for the trip home. 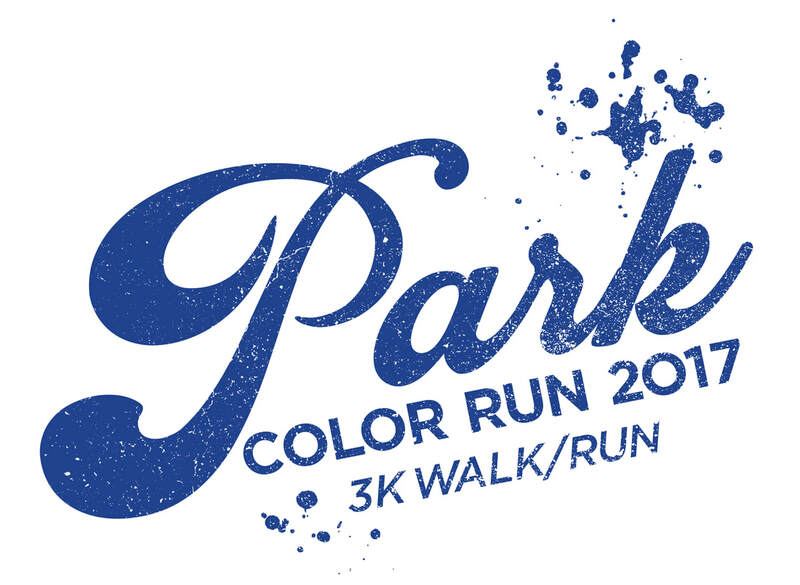 Wearing your white Park Color Run t-shirt is not only fun but it keeps you from ruining your “good” clothes. Please wear shoes that they won’t mind getting dirty. The Color Dust is expected to wash out of clothing and off of shoes but depending on the type of clothing, how long the dust sits on the clothing, and the different methods of washing clothes, cleaning results may vary. Wash all clothes in a separate load on cold wash and rinse. We suggest shaking and blowing off as much Color Dust as possible before climbing into the shower. Brush hair vigorously to get as much dust out as possible. Thoroughly wash hair and body with soap and water. Hair may have to washed twice. If hair is light colored, we suggest putting in conditioner to “coat” hair and prevent any discoloration. If hair does become “colored”, it should wash out after two or three shampoos. How do I preserve the color in my shirt and accessories? I don't want to wash it out! If you would like to preserve the color in your shirt/accessories, simply spray the item with vinegar and iron it. Can I use electronics during the event (e.g., cell phone, camera)? Color Dust is...well, dust, and can be very evasive. If you plan on using electronics, wrap them in plastic and tape securely. We suggest using cameras before the race and after the After Blast. If you want to use your camera any time in between, be sure to wrap it securely in plastic. How do I join in on the fun? It's easy! You can register either online here or by using the form below. Send in your order form, along with your cash or check payment, to the Park School Campus main office (400 W. Townline Rd, Round Lake, IL 60073). Checks can be made payable to "Park Campus PTO". To use a credit card, please register/place your order online. All registrations must be received by Tuesday, October 11th at 3pm! Walk-up registrations are welcome, but t-shirts and color dye packs are not included. Race day registration opens at 8am on Sunday, October 22nd. D46 Waiver I know that running and/or walking a road race is a potentially hazardous activity. I should not enter and run or walk unless I am medically able and properly trained. I agree to abide by any decision of a race official relative to my ability to safely complete the course. I assume all risks associated with running and walking in this event, including, but not limited to: falls, contact with other participants/color dust, the effects of the weather, traffic and conditions of the road. All such risks being known and appreciated by me. Having read this waiver and knowing these facts and in consideration of the entry, I hereby for myself, heirs, executors, and administrators waive any and all claims I may have for damages against the Park Campus PTO, Park School, and Community Consolidated School District 46 and all sponsors, and individuals associated with the event, their representatives and successors and assignees for any and all injuries suffered by me in connection with this event, including pre and post-race activities. I hereby grant permission to Park Campus PTO and its authorized agents to use my name and photographs, videotapes, motion pictures, recordings or any other record of my participation in this event for any purpose. There will be a $15.00 fee for all returned checks. Sorry, no refunds. Media Release I authorize the use, copyright, or publication of my or my family’s name, image or voice while participating in any Event and related activities, as may be captured by photograph or recording in any medium for any purpose, including illustration, promotion or advertisement. If not of legal age, I (the parent/guardian) hereby consent to my family’s participation in Events and related activities. I have read and explained this Form to my family, and I hereby agree to all its terms and conditions on behalf of myself and my family. you are agreeing to the D46 Waiver and Media Release as outlined above and on the registration form.